In this episode of the Radisys partner video series, Doug Morrissey, Chief Technical Officer of Octasic, discusses the development of a small cell base station. Octasic's PHY features a 20 km reach and multistandard support (GSM, 3G and LTE). 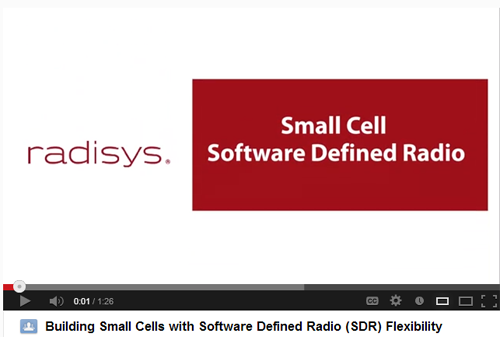 The software defined radio (SDR) covers all bands and the software stack supports all standards. Austin, Texas is the next Google Fiber city. Two years after launching the first Google Fiber project in Kansas City, Google confirmed its intention to bring a similar network to Austin by mid-2014. Google provides a free 5-7 Mbps data service to residents who pay the upfront fiber connection fee. Service plans then scale up to symmetric Gigabit connectivity ($70 per month). A separate Google Fiber TV service now offers nearly 200 HD TV channels. AT&T is prepared to build an advanced, residential fiber network in Austin, Texas to rival Google's planned deployment. AT&T said it expects the city of Austin will grant it the same terms and conditions as Google on issues such as geographic scope of offerings, rights of way, permitting, state licenses and any investment incentives. “Most encouraging is the recognition by government officials that policies which eliminate unnecessary regulation, lower costs and speed infrastructure deployment, can be a meaningful catalyst to additional investment in advanced networks which drives employment and economic growth,” said Randall Stephenson, AT&T chairman and CEO. AT&T does not expect such an investment to materially alter its anticipated 2013 capital expenditures. 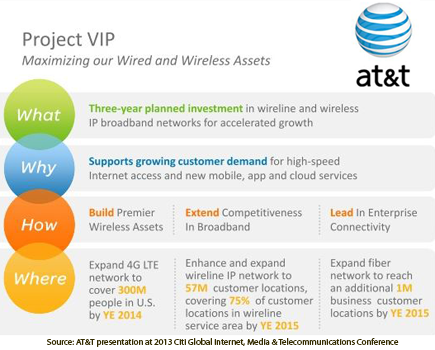 In November 2012, AT&T unveiled Project Velocity IP (VIP) -- its plan to invest $14 billion over the next three years to significantly expand and enhance its wireless and wireline IP broadband network. The plan adds $8 billion for wireless initiatives and $6 billion for wireline initiatives. It also makes a distinction between areas where the company believes are better served wirelessly rather the through a traditional copper network or deploying a fiber infrastructure. The wireline upgrades would include speed enhancements to the company's copper-based Uverser broadband infrastructure to deliver download speeds in the 75 - 100 Mbps range for many subscribers. 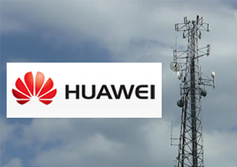 Deutsche Telekom has tested Huawei's advanced LTE Active Antenna System (AAS) on an LTE trial network in Germany. Huawei described the trial as the first of its kind because the AAS used active vertical beamforming for data throughput gains of up to 70%. Huawei's AAS solution integrates the active transceiver array with the passive antenna array to reduce cable loss and significantly simplify site engineering. The solution also takes full advantage of the spatial domain to boost radio access network capacity and coverage. Deutsche Telekom has selected Huawei SingleRAN LTE as a solution to deploy a 1.8 GHz LTE network in several German cities. The world's first AAS LTE trial was based on Huawei's AAS solution, which improves user experience with respect to achievable download speeds. "This advanced LTE AAS trial in Germany is a key achievement in the LTE industry,"said Ying Weimin, Huawei President for GSM&UMTS&LTE Networks. "Deutsche Telekom is one of the most innovative operators in the world and we are proud of our strong partnership. We remain committed to being the best business partner to our customers around the world with innovations like AAS." Canadian operator Shaw Communications has successfully tested Alcatel-Lucent's 400 Gbps data transmission over an existing optical link carrying live network traffic. The trial ran over a 400 km route between Calgary and Edmonton in Alberta, Canada, using Shaw’s current 100G transport network and Alcatel-Lucent's 1830 PSS with the 400G Photonic Service Engine (PSE). Alcatel-Lucent said the 400 Gbps trial demonstrates the capability of Shaw’s current high-capacity network to carry double the amount of traffic, leading to potential new services, such as high-capacity data center connectivity, and more economical service delivery of streaming video, telepresence applications, and gaming. Shaw is the the first service provider in North America to trial 400 Gbps optical technology. XO Communications has selected Ciena’s Digital Video Transport solution to deliver native digital video transport services to media and entertainment customers across the XO nationwide network. The service, which is underpinned by XO Communications’ coast-to-coast 100 Gbps network, will allow XO Communications to transport high-definition (HD) video content for its customers without affecting original quality. The service will multiplex different video signals alongside Ethernet services from remote studios, stadiums and other dispersed locations into a centralized studio or video production location. Ciena’s Digital Video Transport solution includes the 565 Advanced Services Platform, a compact and cost-optimized metro WDM platform that enables a variety of data, storage and video services to be aggregated onto an optical wavelength-based network or service. Ciena's solution also includes video diagnostic tools that greatly simplify testing and troubleshooting for motion picture and television pre- and post-production, and live broadcast television content contribution. 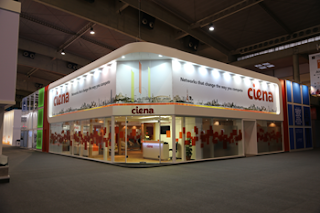 As part of Ciena’s Optical Transport portfolio, the Digital Video Transport solution will be deployed in conjunction with other Ciena platforms in the XO network, including the 6500 Packet-Optical Platform with WaveLogic technology. XO Communications utilizes Ciena platforms across its network to provide Ethernet, storage and managed services applications with low latency, as well as 100G managed wavelength services to its large enterprise and wholesale service provider customers. Arista Networks is integrating its EOS (Extensible Operating System) natively with OpenStack as well as delivering enhanced OpenFlow extensions via direct flow-based configuration interfaces and data-plane programmability. The idea is to enhance cloud networking workflows for rapid cloud provisioning. The OpenFlow extensions into Arista EOS gives customers the ability to implement both IP and OpenFlow in a heterogeneous solution. Standard OpenFlow support in EOS can be orchestrated through a SDN Controller, and value added extensions to OpenFlow are now possible via direct, data plane manipulation of flow tables in the Arista switches. This brings open, application-driven and programmatic control of network path selection at wire speed. A new modular hardware driver architecture in the Quantum OVS plugin, and an open source version of Arista's driver. "Extending Arista EOS for connection to cloud orchestration platforms provides programmability for building agile, self-service cloud architectures. This has been core to Arista EOS development from its inception," stated Tom Black, vice president, SDN Engineering for Arista. "These software innovations demonstrate Arista's increasing relevance and agility in addressing SDN for public cloud operators and private clouds." "Arista continues to lead the way in data center network innovations. This is the first real API integration of a broad-based data center network platform, and seeing it connect with OpenStack and solve real customer provisioning issues is exactly what this industry has needed to scale cloud computing," said Paul Rad, vice president of Rackspace. 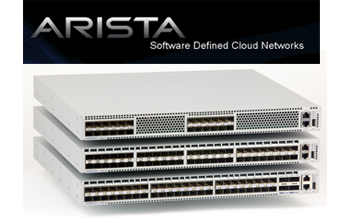 Arista EOS now supports OpenFlow, Arista Direct Flow mode, eAPIs and OpenStack. Kabel Deutschland, the largest cable operator in Germany, has selected ADVA Optical Networking's 100G coherent transport for a new nationwide backbone network. Kabel Deutschland will deploy ADVA's 100G technology along with multi-degree, directionless ROADMs. The fully meshed network consists of 26 major nodes and more than 50 intermediate sites. Financial terms were not disclosed. Orange Business Services introduced a cloud identity federation service that provides users with a centralized and unique authentication method to access their resources wherever they are – hosted within the company or in the cloud – on any device. The Orange Flexible Identity offering, which will be available in the second half of 2013, is an enterprise cloud solution that will allow security administrators to define custom profiles and access methods for each employee, which will allow them to fine tune the profiles distinguishing between professional/personal uses and to implement data loss prevention and encryption features. Leveraging its network activity management, monitoring and visibility expertise, Orange Business Services also offers CyberRisk and Compliance Intelligence, a range of services to assess IT security posture and take appropriate steps. These auditing and consulting services are based on information gathered by security experts watching and monitoring networks, providing a consolidated view of the threat landscape. These services enable enterprises to assess the risk exposure and compliance level of their IT environment with legal and industrial mandates. In addition, Orange Business Services provides Security Event Intelligence, which is a set of monitoring, alerting, and reporting features to manage security exceptions and take the necessary remedial actions. 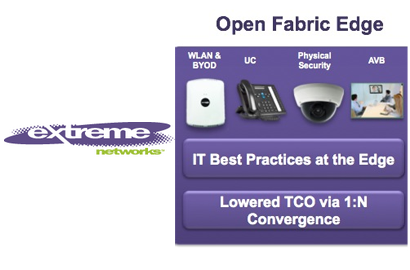 Extreme Networks announced further expansion of its Open Fabric network architecture, which enables Unified Communications (UC), Physical Security (PhySec) systems, Audio-Video Bridging (AVB), and WLAN on a single converged network for enterprises. The enhancements bring scalability (1-40GbE), reliability, advanced services and customization through an open standards approach to lower Total Cost of Ownership (TCO) for enterprises. New Summit X430 series switches that extend the intelligence and resiliency of the ExtremeXOS network operating system to the converged access edge, enabling fine grained Quality of Service (QoS), high availability features and identity aware security in a compact, cost effective switch. New Summit X440 series switches include fiber optic interfaces on all ports to physically extend the network edge. Customers can now connect devices including cameras, phones, remote offices, and other switches at distances up to 70km from aggregation or core switches. Ridgeline 4.0 Network and Service Management Software provides an updated graphical user interface to provide a single pane of glass view for switches, access points and wireless controllers. New Chalet is an intuitive web-based GUI for simplified PhySec operation designed for Axis Communication IP cameras management through an Extreme Networks switch. New Altitude 4022/4522 access points for 802.11n wireless LAN (WLAN). These enable controller-less operations at small to medium sites by serving as a virtual controller and coordinating the operation of up to 24 neighboring access points for mobility and QoS services. ExtremeXOS modular operating system for high availability architecture with EAPS protocol to reduce network downtime for business continuity and access to mission-critical applications such as CRM, data warehouses and VoIP for carrier and voice grade networks.